Mercedes-Benz is one of my favourite favorite carmaker and one thing that really interests me is its AMG brand. AMG is a subsidiary of Merc and specializes in high performance cars. The company picks production Merc models and after a bunch of modifications, turns them into high performance machines. 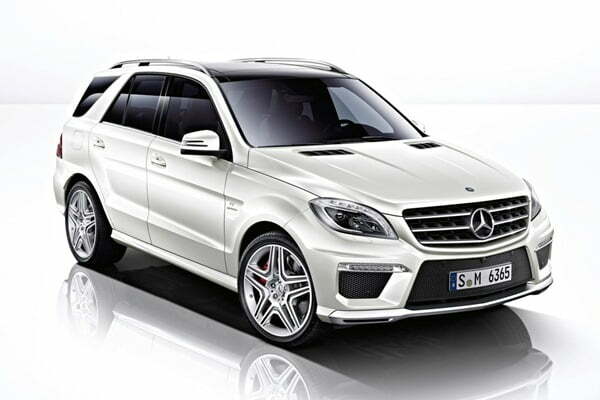 AMG’s next pick was the Mercedes M Class and recently they revealed it as the 2012 Mercedes Benz ML63 AMG. 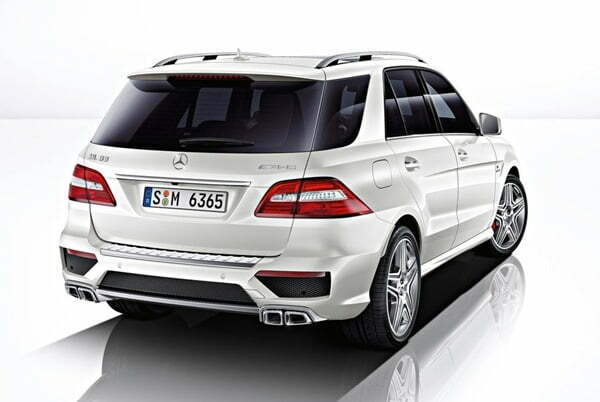 The ML63 features more power and an improvement of 33 % in mileage over its predecessor. The AMG version sports a 5.5 Liter V8 biturbo engine developing maximum power of 518 BHP and 700 Nm of peak torque representing an increase of 15 BHP and 60 Nm. An AMG Performance Package is also available with the car which boosts its power and torque to 550 BHP and 760 Nm respectively. Acceleration from zero to 100 km/h takes 4.7 seconds and 4.6 seconds, top speed remains 155 mph (electronically limited) and 174 mph for the Standard ML63 and with the AMG Performance Package respectively. Other included things with the AMG performance package are a high-quality genuine carbon fiber engine cover, red painted calipers and a premium leather(DINAMICA) AMG Performance steering wheel. Some of the new technologies introduced with the ML63 include spray-guided gasoline direct injection with piezo injectors, ECO stop/start system, an all-aluminum crankcase, four valves per cylinder with camshaft adjustment, air-to-water charge air cooling and efficient alternator management.